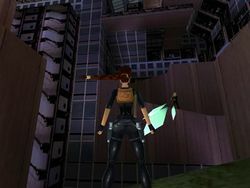 In it Lara has to fight against [[Sophia Leigh]]. She is invulnerable to her pistols. and must be beaten with electricity.